Your St. Patrick’s week drinking game!! Happy St. Patrick’s Day Yokels!! 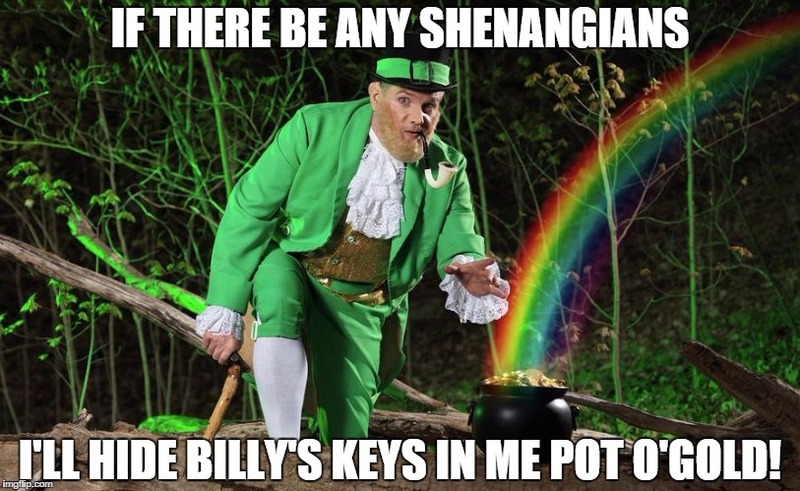 The luck of the Irish onto all of thee! We’ve gone back to alcohol this week. 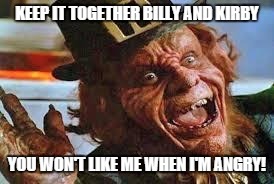 To not do so would insult the leprechaun. Grab your agenda and make sure you call that designated driver. Emergency Management and Utilities are up on the consent agenda. When Billy still refuses to perform the job he was elected to do, slam back an Irish car bomb. We’ll skip over what will happen during the approval of minutes because we cannot stomach it this week. On to the installment purchase of two tracts of land in order to preserve agricultural land in our community. Oh hell, just start drinking your Green Dragon now. Think of it as a toast to Xenu’s pal, Gumption. Time to approve some County Executive appointments. This comes and goes as an area of contention. Let’s just think nice thoughts and sip our dainty Misty Mint. It’s budget talk time. First off, the council will get an update on the budget. Afterwards, Bud is going discuss the controversial budget analyst position. And for all our thoughts of rainbows and gold, we know this isn’t going to be good. Mix up a pitcher, yes a pitcher, of Angry Balls and hope these guys check themselves before they wreck themselves. We are going to end it here. The council then goes into a closed session and returns for comment time. We think we’ve done enough damage to your livers for one night. Previous postA true Local Yokel hero!